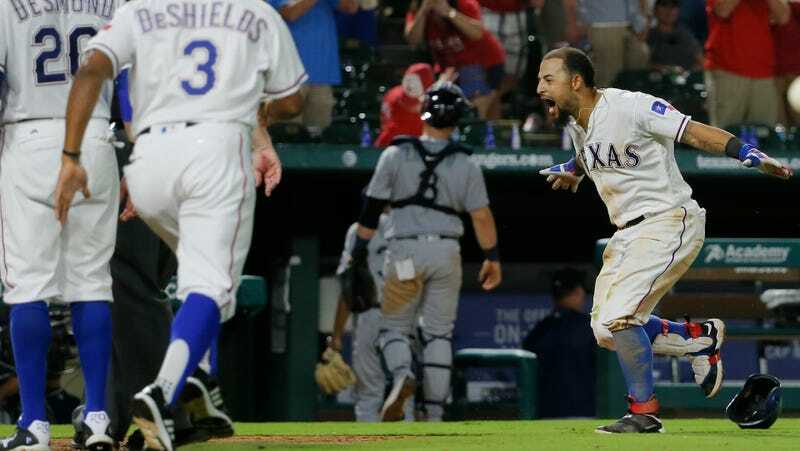 Rougned Odor spent the Rangers’ game against the Mariners tonight messing with Dae-ho Lee, hitting the ball over the field, and futzing around on the basepath. He capped it off with a walk-off home run, and because he’s Rougned Odor, he capped that off with a stare down and a little tiny baby bat flip (more of a bat drop, really). It’s his first career walk-off. At least he didn’t punch anyone.